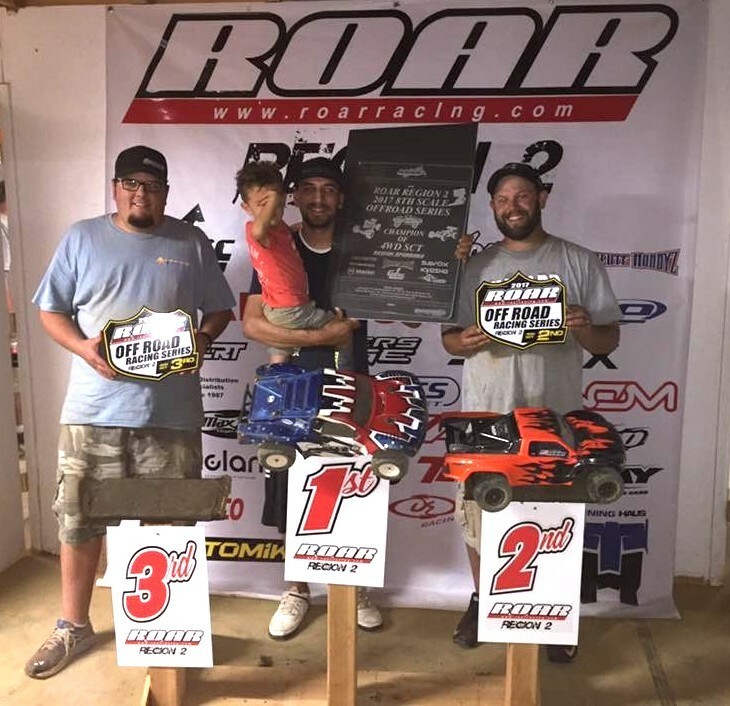 "This past Saturday was the finals for the Thunder Road Summer Series. With one throw out of the five races, I had already clinched the Ebuggy championship but had to put in a solid run in Nitro buggy to win that title. Qualifying went well. Like always, it was a challenge to find "the tire" for Thunder Roads tricky surface. The track was smooth for the most part, but traction was hard to come by. I started in the second spot for the thirty minute Amain. The first fifteen minutes was a lot of lead swapping between TQ, Julian Malevanets and myself. As we distanced ourselves away from the rest of the field, Julian had a wreck and broke his car, which allowed me to cruise home with a comfortable win!! 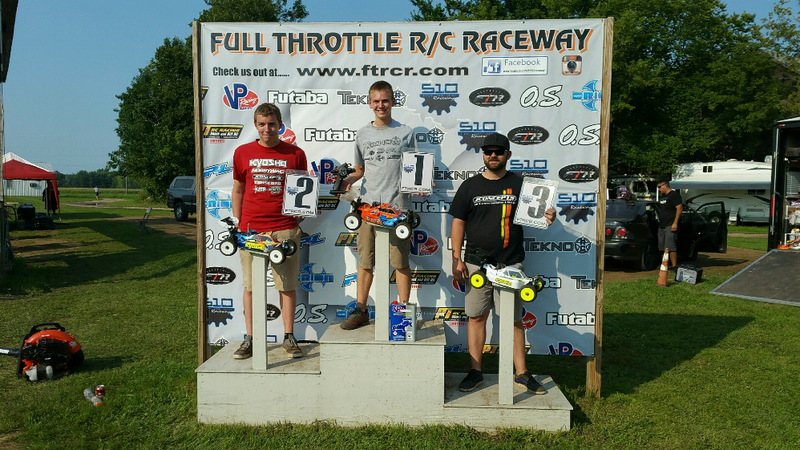 The Thunder Road Summer Series was extremely competitive and brought out some incredible regional talent. It feels great to come away with championships in both of my respected classes! My Tekno NB48.4 and EB48.4 had incredible speed and the durability required to get me through all five series races with zero DNF's!! Thank you to Kevin Bronner for the great series, Thunder Road Hobbies, Lutz RC, and of course, Tekno RC for building the fastest RC cars on the planet!!!" 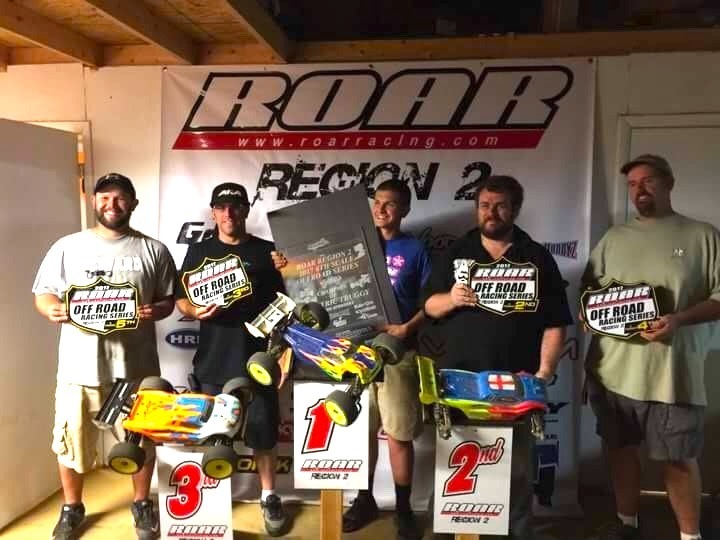 "The ROAR Region 2 series consisted of 5 races with 1 drop. With people traveling from hours away, these events made for a real fast series and a lot of hard competition all the way through. 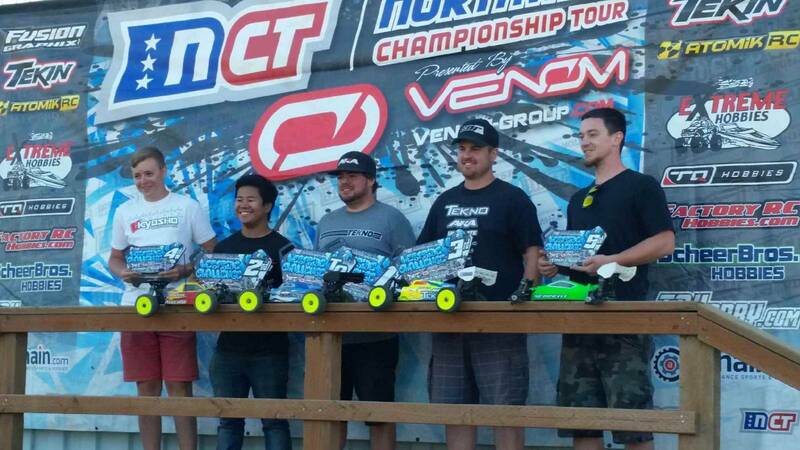 I was able to TQ and win both Nitro Buggy and Electric Truggy with my NB48.4 and ET48.3 performing flawlessly!" 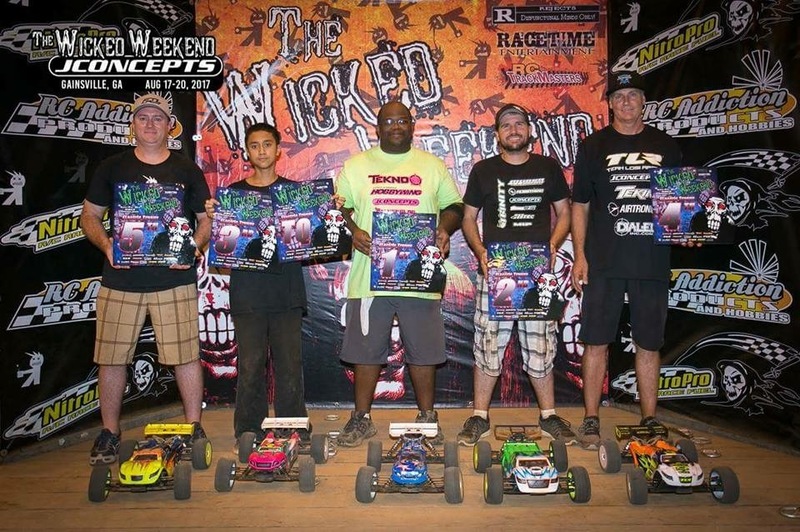 "This past weekend was round 5 of the Minnesota Nitro Series. Practice went well on Friday giving me the confidence to run clean, fast laps in qualifying. 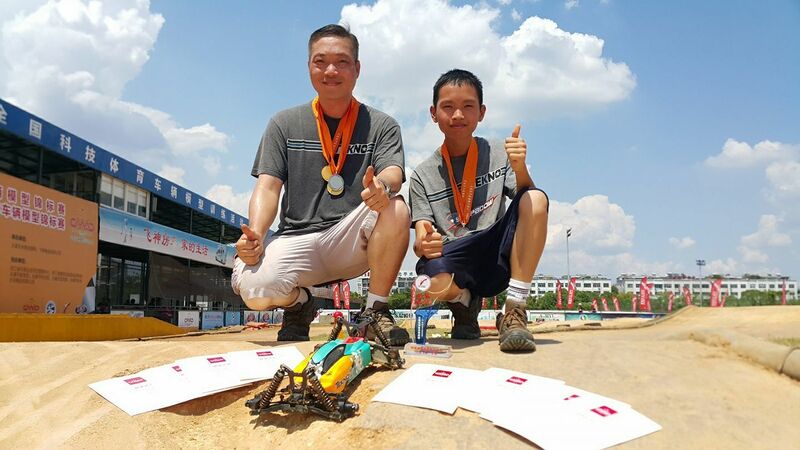 On Saturday when qualifying began I did just that by TQing E-Buggy and Truggy and qualifying 4th in Nitro Buggy. Later Saturday night was the dash 4 cash where we would invert the grid and run 6 minutes with no marshals. I didn't pass anyone early but 2 minutes in I started working my way to the front where I would end up winning the $315 pot that was up for grabs. When mains began on Sunday, the cars were all ready to go, and the track was shaping up to be high traction and even more rough than the day before. 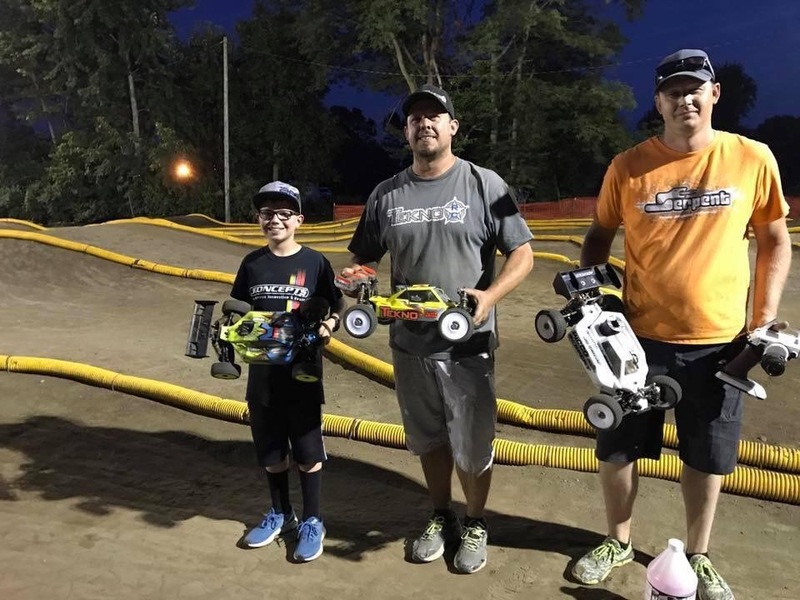 After all the dust settled, I walked away with all three wins, but those did not come easy as I would battle with Kyle Holmberg in the E-Buggy and Nitro Buggy and Josh Ford in Truggy." 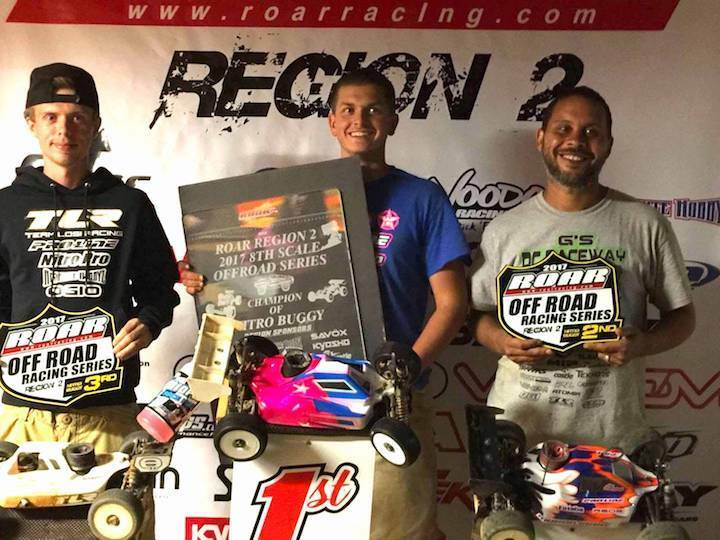 "This was the final leg of a 5 race series throughout the ROAR Region 2 area. The tracks consisted of Adrenaline RC in Winchester, VA, RC Pro Racing in Hayes, VA, The Tiltyard in Dayton, VA, The Mushroom Bowl in Kennett Square, PA, and G's RC Raceway in Shippensburg, PA. All in all, it was an absolutely great series! Overall I was able to secure the 4WD SCT Champion Title and 4th overall in E-Buggy! Completely stoked in finishing as well as I did and I could notice an improvement each and every race! Additionally, I got my wonderful girlfriend involved, whom now is the proud owner of her very own EB48.4!!! Can't wait to get some track time in with that awesome machine! See you guys on the track!" 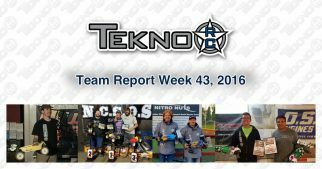 "This past weekend racers from all over the Pacific Northwest converged on Burlington, WA for Round 5 of the Northwest Championship Tour. 330 entries made for some long days but close racing and tons of fun was had by all in attendance. I raced in Expert E-Buggy and Nitro Buggy. 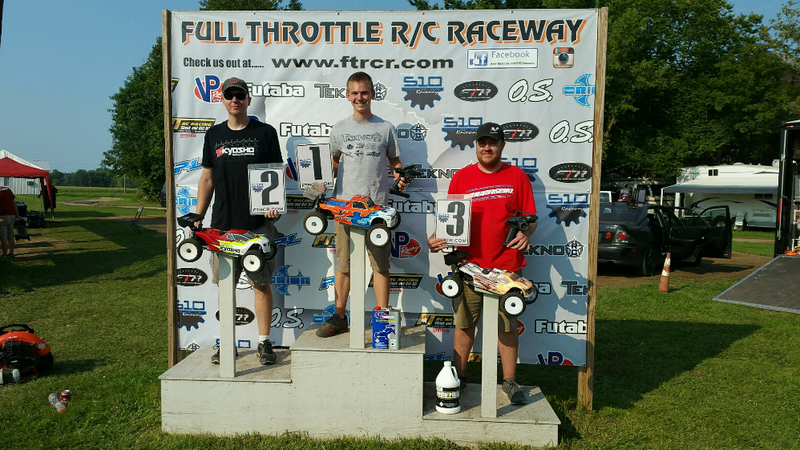 On qualifying day I barely missed TQ in Q1 of E-Buggy but was able to set the fastest time in Q2 and Q3 to take the overall TQ. In Nitro, I took TQ in Q1 with a solid run. In Q2 I had an awesome battle with Kyle Johnson and he took Q2 and Q3 to take the overall. I would line up 2nd on the grid for the 30-minute final. On main day my EB48.4 was on rails. I had some close races with AE's Harley Yoshii, and I was able to take the win in A1 and A2 for the overall. In Nitro, I had a really close fight with Kyle for the first few minutes but some mistakes on my own and some "wrong place at the wrong time" luck, I fell back. My NB48.4 was driving really good, and I crossed the line in 2nd. With these results, however, I was able to lock up the overall series Championship in both classes! 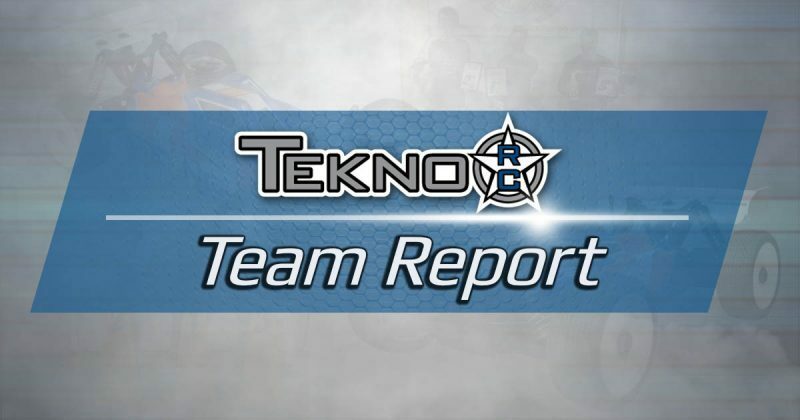 Huge Thank you to the guys at Tekno for the help and support!" "This was my second time attending a Wicked Weekend. The format had been changed so racers could arrive a day later making it a 3-day event and still get a fair amount of practice. I choose to do the 4-day event which meant a full day of practice on Thursday. I ran Pro E-Buggy and Open E-Truggy. My E-Truggy was fantastic for the entire event. I was knocking on the door of a TQ run every round but ended up 2nd on the grid for the triple A-mains. 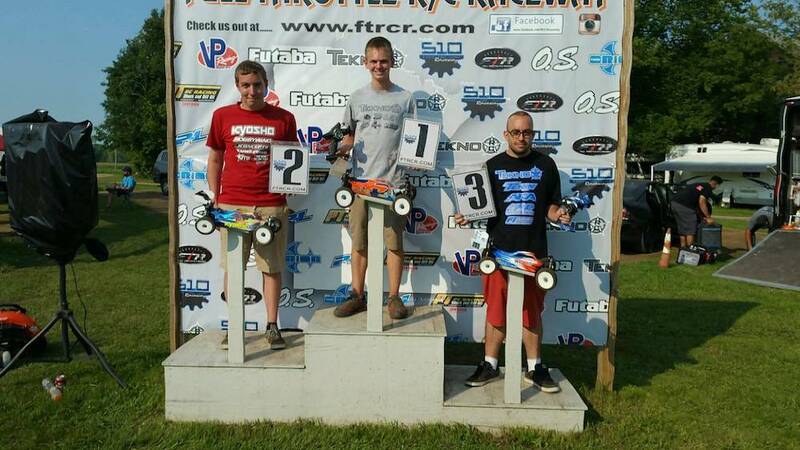 A1 and A2 were tight battles start to finish, and I took a 1st and 2nd leaving the win up for grabs in A3. At the outset, I made a quick inside move and powered into the lead and held on for the win and the overall." "On Friday I drove up to Windhoek, Namibia for our final race at SKW-The Dirt Farm. In Saturday morning practice the racing line felt good. Our race format was 2x 15-minute heats, 25-minute main for Nitro and 2x 5-minute heats with a 10-minute main for Electric. Would like to thank my sponsor Tekno RC for their Excellent products and support. Thank You to Loffie, Rhyno, and Ernest for their help and running the Event, looking forward to our next season with a new track!" “My Dad, Carson, and I made the trip to Yongkang China for Chinese National Championships this past weekend. I was able to win the electric buggy class which was decided in the last lap of the 3rd leg in the main final. 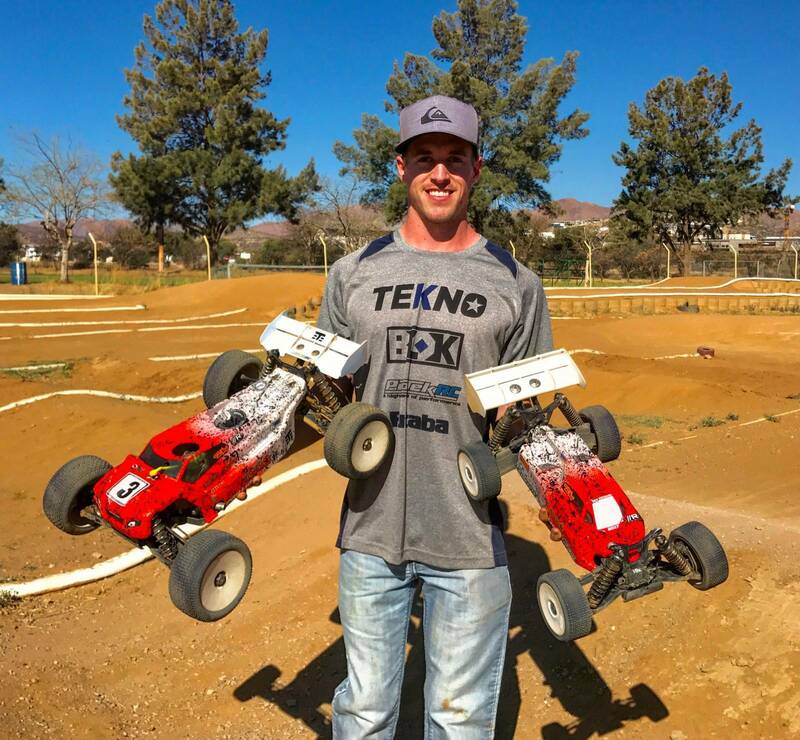 My Tekin powered Tekno RC EB48.3 performed flawlessly throughout the race giving me the overall win under extreme heat (40c) conditions, thanks to all my sponsors!" 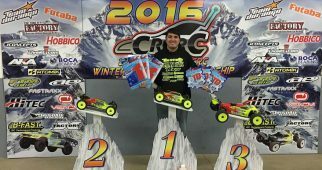 Tekno RC’s Joe Bornhorst Sweeps CRCRC 1/8th Scale Winter Midwest Champs!